Labor groups led by Defend Job Philippines (DJP) kicked-off their campaign #LaborVote2019 to put workers’ issues on the elections agenda of the people and the candidates. Coinciding with the start of campaign period for national candidates, DJP said the campaign aims to push for workers advocacy and labor agenda to aspiring candidates in both national and local levels. 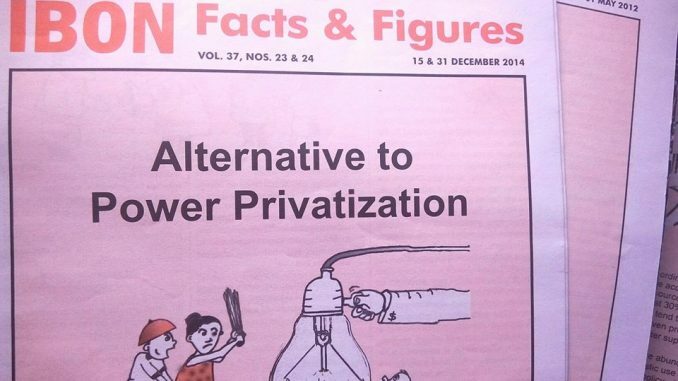 “Over the past elections, issues of workers were consistently used in campaign slogans and publicity stunts of all candidates and political parties. Overused rhetoric of addressing and resolving labor issues were all been used by political aspirants, both in the national and local posts, to acquire the support and votes of their respective target constituents,” said DJP spokesperson Christian Lloyd Magsoy. To mark the start of the #LaborVote2019 campaign, DJP held an opening program in front of the head office of the Commission on Elections in Manila, where they launched the Labor Vote Bus that will tour around factory belts, workers communities, institutions of labor rights advocates and major thoroughfares of Metro Manila and neighboring provinces. 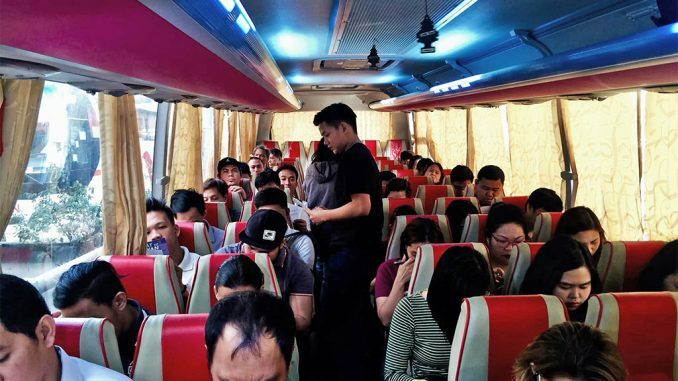 Magsoy said that their bus will serve as venue for their voters’ education drive, pushing to educate and advance their long-drawn demands for regular jobs, higher wages, safe workplaces, lower prices and advancement of labor rights in the country. 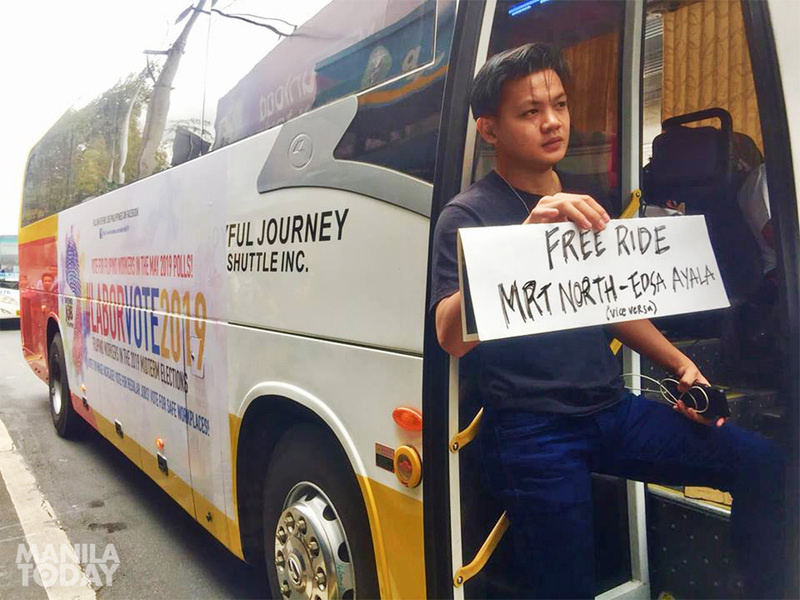 The bus will cater free rides to workers in Metro Manila. “In the upcoming May 2019 senatorial and local elections, Filipino workers will be as empowered and more intelligent voters as ever. The solid and huge Philippine labor vote is set to use the electoral platform to raise their issues, send their messages across and pick genuine pro-labor candidates who can truly address and resolve their long-drawn democratic and legitimate aspirations for jobs, wages and labor rights,” said Magsoy. He also invited candidates to hop-in and join their ride to directly address their concrete platforms, plans of actions and legislative agenda for the Filipino workers once elected in power. Aside from the voters’ education on-wheels, DJP will also conduct series of town hall meetings during the entire #LaborVote2019 campaign period. During town hall meetings, Magsoy said that these activities will be attended by mass memberships of local labor unions, workers associations and their advocates that will be open for candidates to attend in order for them to discuss their agenda and for workers to express their local struggles and issues to all interested political aspirants. The group said that series of mock elections will also be held both in the Labor Vote bus and during town hall meetings. Results of the mock elections will be announced before the elections. Also, DJP said that they are set to release the result of their study on March on the track record and stance on 10 key labor issues including endo, wage increase, occupational health and safety, right to self-organization, trade union repression, child labor, migration, tax and high prices, and poverty alleviation. Magsoy announced they will release a list of “Pro-Labor Candidates” in a press conference, and initiate a Labor Agenda covenant signing and Unity Walk that will be held on April 30, a day before the International Labor Day, in Manila. 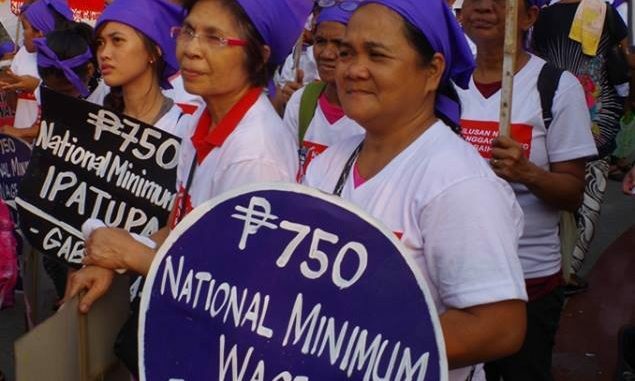 The post #LaborVote2019 | Labor groups to push for labor agenda in the coming polls appeared first on Manila Today.